If you have any questions about the GLOBANA M information page below please contact us. Coming from the Abeking & Rasmussen Yachts (Schiffs-Und Yachtwerft ) yacht builder in Germany the GLOBANA M is 36 metre 118 (foot) in length. Completed by 1995 her reasonably modern interior design and decor demonstrates the traditional interpretations of owner and Karin Paeger Preissner/Heinz Muller. Superyacht GLOBANA M is able to accommodate up to 6 passengers with 5 qualified crew. 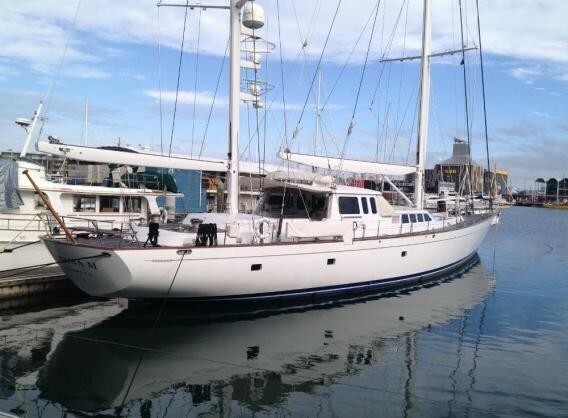 She could be described as a modern ketch motor sailer. Her old, former or build project names were 6409 Globana. She will attain a high speed of 12 knots. 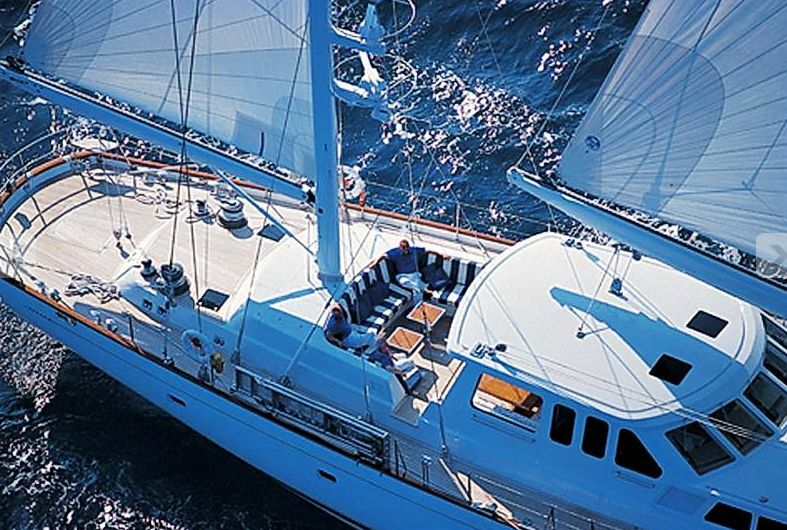 Sailing yacht GLOBANA was named for her intended to use for voyages around the globe. 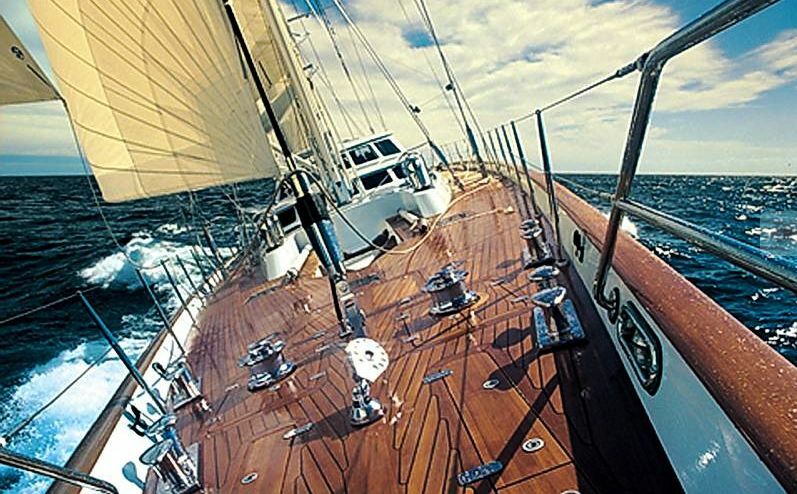 This aluminium ketch has automatic roller furlings , a 628 m² sail area and a 600 hp engine. Her light hull and carbon fibre mast design enables her to have a shallow draught and therefore make it easier to sail in shallow waters and ports. GLOBANA has an interior consisting of whitewashed oak. Ron Holland Design was the naval architecture company involved in the technical nautical design work for GLOBANA M. Also the company Ron Holland Design skillfully collaborated on this undertaking. Interior designer Karin Paeger Preissner/Heinz Muller was selected for the creative interior styling. In 1995 she was formally launched to accolade in Lemwerder and following sea trials and final completion was afterwards passed on to the owner. Abeking & Rasmussen Yachts (Schiffs-Und Yachtwerft ) completed their new build sailing yacht in Germany. The hull was crafted from aluminium. The sailing yacht main superstructure is fabricated for the most part from aluminium. With a beam of 7.89 metres / 25.9 ft GLOBANA M has moderate internal space. A reasonably deep draught of 3.69m (12.1ft) selects the amount of harbours she can visit, taking into account their minimum depth at low tide. The 12V 183 AA91 engine powering the yacht is produced by MTU. For propulsion GLOBANA M has a single screw propeller. The engine of the ship creates 590 horse power (or 434 kilowatts). She is equiped with 1 engines. The sum thrust for the boat is 590 HP or 434 KW. The bow thrusters are Hps / Stern: Hps. Offering volume for a limit of 6 welcome guests sleeping aboard, the GLOBANA M accommodates them in style. Under normal conditions she has room for approx 5 capable crew members to run. Mtu 2 times 54 kilowatts, 1 times 16 kilowatts. 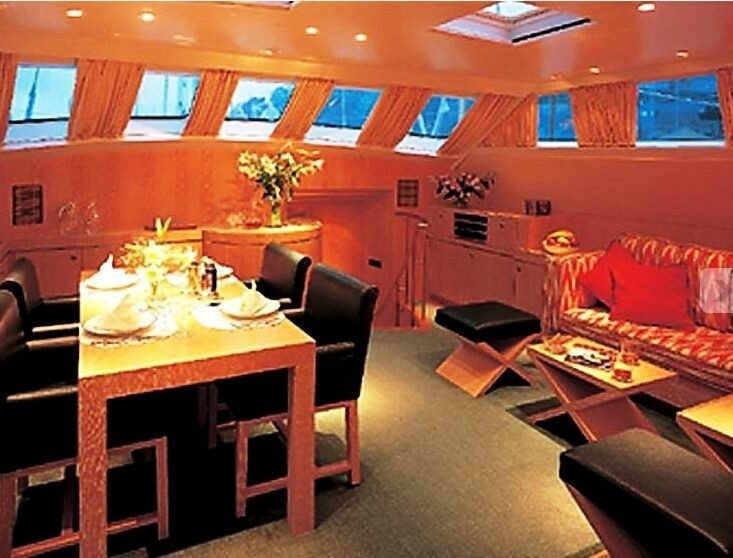 Drews is the company which installed the A/C on the yacht. GLOBANA M features a teak deck. The luxury yacht GLOBANA M displayed on this page is merely informational and she is not necessarily available for yacht charter or for sale, nor is she represented or marketed in anyway by CharterWorld. This web page and the superyacht information contained herein is not contractual. All yacht specifications and informations are displayed in good faith but CharterWorld does not warrant or assume any legal liability or responsibility for the current accuracy, completeness, validity, or usefulness of any superyacht information and/or images displayed. All boat information is subject to change without prior notice and may not be current.